Subscribe to these Insta pages to stay up to date with the hottest exhibitions in the country’s top cultural establishments. The State Tretyakov Gallery is Russia’s main museum of the national art; its treasures vary from ancient icons to modern art objects (New Tretyakov). Paintings from the Holy Trinity by Andrey Rublev to Kazimir Malevich’s Black Square are exhibited here. 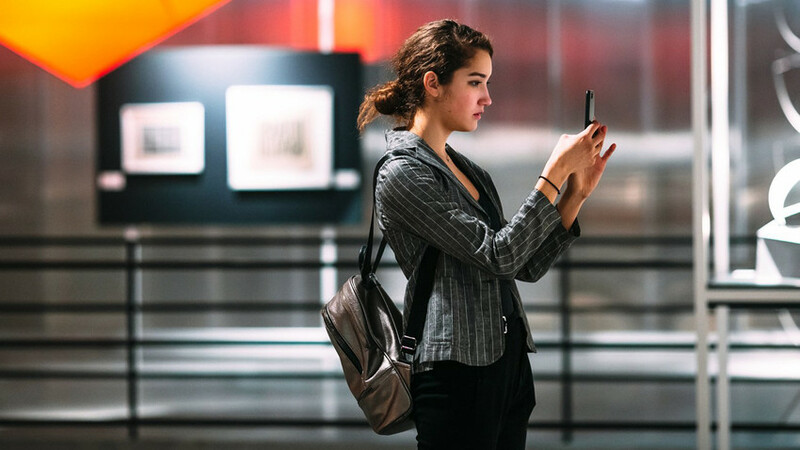 The museum’s Instagram shows both the work and active social life of the gallery including its visitors, new exhibitions, and social projects. Short lectures and adverts featuring Russian celebrities are also posted, like this one with popular singer Shnur diving head first into the Black Square. The first Russian state museum of modern art, MMOMA, has a unique collection of 20th century Russian avant-garde works. Many pictures were purchased at auctions and galleries in Europe and the U.S. before returning home. Canvases by Marc Chagall, Natalia Goncharova, Mikhail Larionov, and many other distinguished painters are among them. The colorful Insta page of the museum shows objects from expositions of contemporary Russian and foreign painters, and pictures of master-classes and schools for curators organized by MMOMA. This private museum has a unique collection of Russian impressionist painters from the 19th and 20th centuries: Serov, Korovin, Kustodiev, Konchalovsky, Polenov, Pimenov, Gerasimov. Snaps of their paintings, the museum buildings, it’s visitors, and the exhibition ‘Wives’ - dedicated to the partners of famous Russian impressionists - can be found on the museum’s Instagram account. This posh museum of modern art financed by the Russian tycoon Roman Abramovich got its reputation for organizing exhibitions of world-famous modern artists, like Mark Rothko, Marina Abramovich, Raymond Pettibon, Yayoi Kusama, and many others. The museum also organizes educational programs for adults and children of different ages, film screenings, concerts, performances, and much more. The Pushkin Museum has an impressive collection of antique artifacts from Byzantium and Egypt, as well as one of the world's largest collections of Impressionist and modern art. Its collection of French art from the 19th to 20th centuries is one of the most famous in the world. The museum's Instagram posts pics of the best objects from its collection with a romantic touch: There’s a series showing couples visiting the museum, including one photo of a casanova proposing. The State Russian Museum in St. Petersburg is the world's largest museum of Russian art. The museum collection has more than 400,000 objects and covers all historical periods and movements spanning 1,000 years: From the 10th to 21st century. If you want to be updated with the classics of Russian art, subscribe to its Instagram. The unique collection of this decorative arts museum in St. Petersburg consists of masterpieces made by Carl Faberge and has more than 4,000 objects. This relatively new museum became very popular in the Northern capital and organizes temporary exhibitions as well. If you are a fan of beautiful objects the museum’s Instagram is for you. The Moscow Kremlin Museums located in the very heart of the Russian capital preserve the unique heritage of the country’s history, culture, and religion. Treasures, armor, weapons, household items, icons, and paintings are exhibited here. If you want to get familiar with Russia’s history and art starting with unique icons and the famous Monomakh's Cap, just follow the museum’s Instagram. 5 theater performances that stole the show in Russia - now you have the chance to see them!